talkhealth > Blog > 2013/03 > Wedding Dress Update: What a Time to Love a Dress! The dress shopping is finished! At least for the wedding day. Rehearsal dinner dresses yet to be selected. I promise a Mother of the Bride dress update soon. The wedding is June 1. Coming right up! 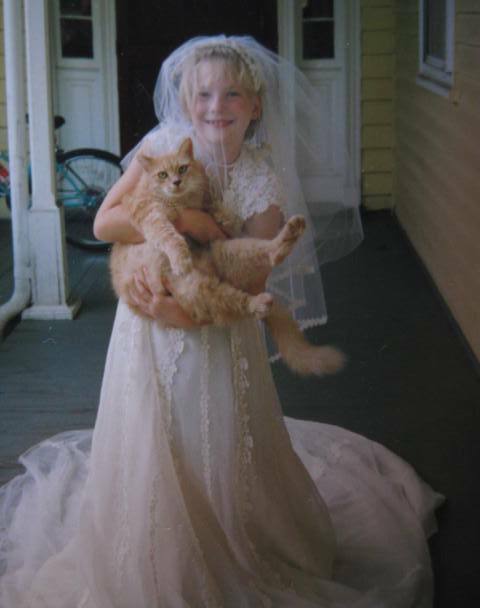 Photos: Laura posing in my wedding dress with kitty Edmund as the groom. 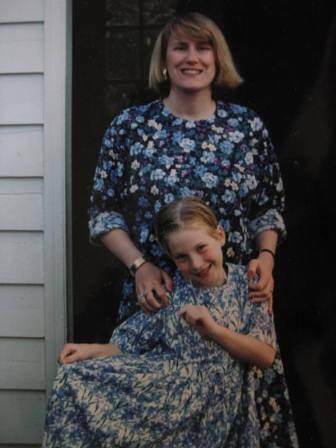 And Laura and I celebrating a time when small prints must have been in vogue, about twenty (yikes!) years go. One Response to Wedding Dress Update: What a Time to Love a Dress! Gorgeous look in wedding style dress .